Dr. Klin, thank you for agreeing to be interviewed, I have to say that I find your research fascinating. I remember the day, at 15 months old that I had an inkling that my son had Autism, but I'm intrigued at how your research seems to be offering opportunities to screen it earlier than ever, can you tell me about your research? While symptoms of autism may not be visible, even to the most experienced clinician, until the second year of life, autism is defined and diagnosed in terms of a series of behaviors or symptoms that are the result of not having some foundational predisposition to seek, orient to and respond to people. Infants are born in an utter state of fragility, and without their caregivers, they would not survive. Therefore, nature endowed human infants (and infants of other species as well) with survival reactions to the social world. These reactions are online from the first days and weeks of life. Autism results from the disruption of these reactions or skills. These disruptions are caused by pre-natal factors but they are instantiated in the first two years of life. Our approach has been to develop ways to fully quantify these normative reactions (creating growth charts for social engagement in typical children) and then use deviations from these growth charts as signs of risk for autism. In this way, we don't need to wait until the symptoms develop later on. 2. What specific markers are you looking for at such an early age? In the first year of life, we are looking for ways in which the baby fails to respond to aspects of an approaching person that are critical for the mutually reinforcing choreography called social inter-action (baby-caregiver interaction). This dance is the platform for the development of social mind and social brain, including learning, language, reading other people's emotions and thoughts, etc. If we are looking for early symptoms, at the age of 12 to 18 months, one is looking for the child's natural responses to other people's voices (e.g., people speaking close to her, calling her name), eye contact, following the gaze of others or other gestures that indicate what the person is thinking about or talking about (e.g., pointing to request something, pointing to show something), contingent emotional reactions (e.g., responding to other people's emotional approaches, a smile to a smile, a worried face to a worried face), and, of course, the development of language (e.g., not only words, but words that are use to express wishes or to guide the other person's behavior or to name things in the environment) and the development of communication (e.g., using facial/bodily gestures directed at others, modulating voice to express feelings, etc.). 3. What are the benefits of diagnosing Autism Spectrum Disorders in children that young? The brain is very malleable in the first two years of life. This is called neuroplasticity. As the typical child is learning about the social world, children with autism are learning about aspects of the world that are not as pertinent to their learning and social/communicative development. By diagnosing and intervening early, we want to shape the process of learning and guide the child to learn about and enjoy aspects of the world that will propel them further in the development of social understanding, language and communication; this process is more likely to be impactful early in life. Later, we can always achieve some success. But the ability to try and attenuate the condition is optimal in the first two to three years of life. And these changes (skills learned, avoiding the development of behavioral challenges) are all factors that will have lifetime consequences. Relative to the potential gains, these approaches (promoting social engagement, language and communication) have little risk except of course if parents are not fully supportive of and engaged in the goals of the intervention. While early diagnosis and intervention could be viewed by some as unnecessarily raising parents' fears, reality suggests the opposite. Parents are anxious already and often feel powerless. Therefore, professional support is part of the solution, not the problem. I would always say to parents: let's get worried now. We can't know the future. But I’d prefer to have a fabulous conversation with you and your child at the age of four in which I state to you that I was overly alarmed, and that all is well, than having a terrible conversation with the parents stating that we did not want to alarm them and the child is now six or seven, is not talking, displaying behavioral challenges, and we missed a window of several years. Autism, like any other medical condition, should not be hidden from parents. This patronizing has been going on for decades. If my doctor fears that my child may have a condition or disease, I prefer to know now, not in five years. And I am a parent too (I have three children). 5. What advice do you have for parents of young children? To inform themselves, to seek resources, and most of all, to be skeptical about their sources of information. There are plenty of false hopes. Parents should seek reputable sources of information, and most of all, they should not accept advice or treatment from people who believe that what they offer is for all children. Children with autism spectrum disorders are extremely different one from another. And appropriate treatments capitalize on the individual child's strengths while addressing the individual child's challenges or needs. We need to assess children in order to prescribe a treatment. Unfortunately, we have no medical treatments for autism yet. Some psychopharmacological treatments can be helpful to older children, particularly if they show irritability, aggression or other severe behavioral challenges, or symptoms of anxiety and depression. But otherwise, treatments use social communication and behavioral methods to augment the child's skills and diminish the child's symptoms. The Marcus Autism Center welcomes Ami Klin, Ph.D., as the new director of autism and related disorders. In his new role, Dr. Klin is responsible for transforming the center’s efforts by building a world class autism facility in Atlanta through research, advocacy and technological developments. He and his team will use original ground-breaking techniques to diagnose autism in children as young as six months old. Dr. Klin uses eye-tracking technology he developed to visualize and measure infants’ social engagement, which is a critical factor in identifying children who may have a disorder on the autism spectrum. Dr. Klin’s appointment concludes the Marcus Autism Center’s nationwide search for a leader who will transform its efforts in diagnosis, treatment, research and advocacy for children with autism and related disorders. The appointment coincides with the 20th anniversary of founder Bernie Marcus’s commitment to improving the lives of children with autism and related disorders. 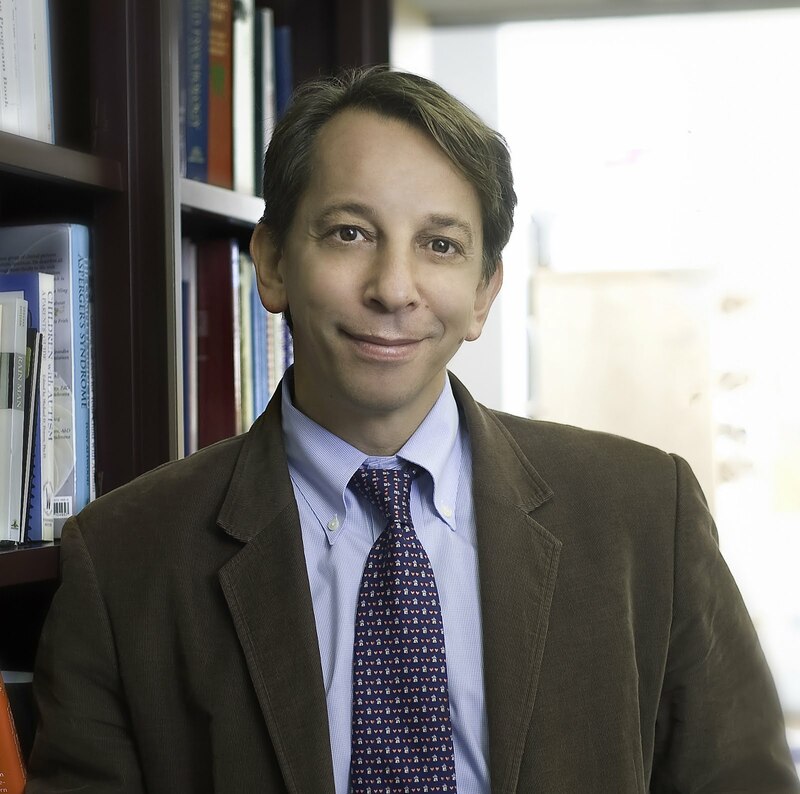 An internationally recognized psychologist and researcher, Dr. Klin joins the center from the Child Study Center at Yale University School of Medicine, where he directed the Yale Autism Program. He and his team will play an instrumental role in the autism community, working collaboratively with experts at Children’s Healthcare of Atlanta, the Emory University School of Medicine and the Emory Autism Center, the Centers for Disease Control and Prevention, the Georgia Institute of Technology and Atlanta Autism Consortium. A native of Brazil, Dr. Klin lived in Israel for many years and received his bachelor’s degree from Hebrew University. He completed hisdoctorate in cognitive psychology at the University of London before completing his post doctoral studies at Yale. Dr. Klin has been honored for his medical contributions by the Autism Society of America Foundation, among others.